Spicy Paneer with ginger root. In a non stick pan add 1 tsp of oil; add cumin seeds, poppy seeds. When they crackle turn off the gas and pinch of salt and red chili powder. In a grater add this mixture and add lemon juice. Mix it well till the mixture is well blended. Now dip all the ginger slices in this lemon mixture and marinate it for 10-12 hrs minimum and 1-2 days. This can be used as Aachaar /pickle also with hot parantha’s or puri’s. In a non stick pan add 1 tbsp oil on a medium heat and add coriander. Add Onions and cook them until caramelized. Add tomatoes and tomato sauce. Cook on simmer for 15 minutes. Now add the 2-3 tbsp of ginger slices marinated before with some juice. 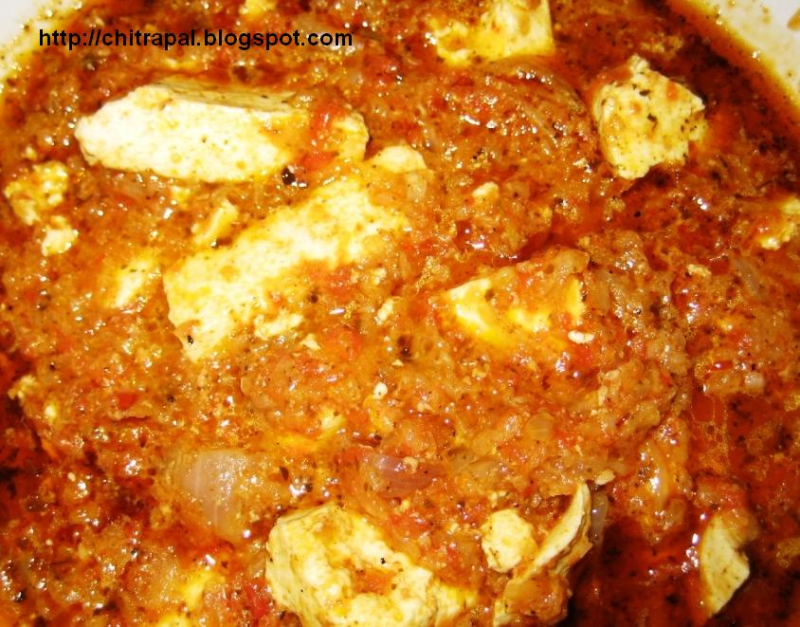 Turn off the heat and add paneer cubes let it cook with lid on. Garnish with ginger slices and serve.